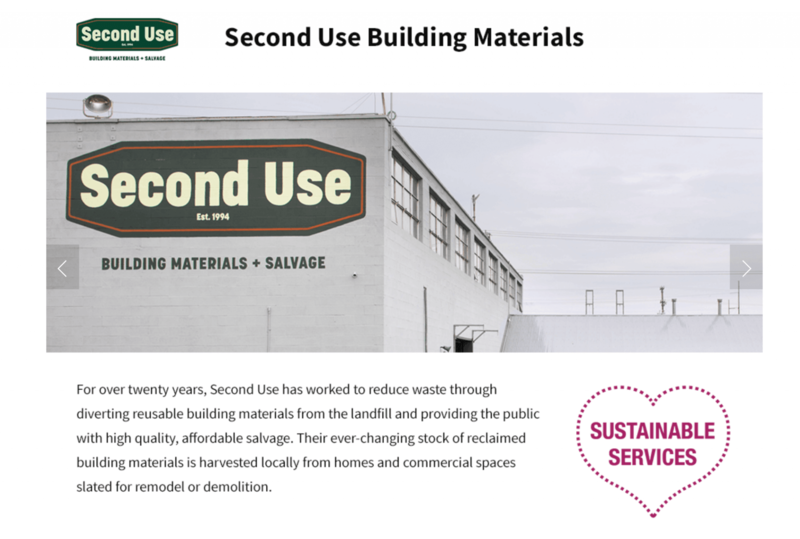 Second Use is honored to be a nominee for The Chinook Book Heart of Seattle Award in the category of Sustainable Services! The Heart of Seattle Awards recognize Seattle & Puget Sound retail and service businesses that set a high bar for what good business should be — with stellar social and environmental priorities, ethical business practices, happy employees, and loving customers. If you agree that our efforts to divert waste through architectural salvage merit an award (or if you’re a fan of our convenient with our online inventory or robust calendar of free events) we ask that you take a moment to vote for us!